At TMB our primary focus is creating dancers who are well rounded, technically proficient, and capable of dancing at whatever level they desire. We have four levels of dance to choose from, with our competition team reserved for those with the strongest focus and desire. Our competition students and their families are committed to pursuing their dance education and training at a high level of discipline and sacrifice. Our competition team is selected by audition only in late September. 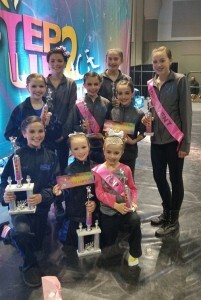 They compete at between 3-4 local competitions in the spring and we often attend conventions to supplement dance training.